Beautiful , mature trees in the city are the gift of someone’s vision a generation or more ago. Besides the shade that makes a city tolerable when there’s a heatwave, I would be lost without trees marking the seasons- taking me through Spring, into deep Summer and out into Autumn. They are real live elements of the city. Is this why it is that trees affect so many people? I have found a barrage of criticism answered by a seven and a half page letter from our council’s ‘Fulfilment Team’. It’s function is clearly to explain, and answer questions and spread a feeling of fulfilment to ease away all concerns. So why am I left wondering if this is the whole truth and who is it actually from? Who are the Fulfilment Team? There is no personal signature (no personal responsibility). It is signed from ‘Streets Ahead’. Does Amey have any input into this? 15th June – Paul Whitlow: try this one https://www.sheffield.gov.uk/business-ec (the link now leads to a ‘page 404 not found’ message, and a search of the council’s website got me no further than Amey’s contract ‘Data Sheet’ which appears to be company statistics/ promotional material. 16th June – Keith Alford: he had read the contract the previous year, but so much had been redacted that ‘the document was of little use to any resident of Sheffield who wishes to check the scope of or specification of the work’ against the contract requirements. Is there a Sheffield Tree Strategy which applies to the Highways? Contained in the long apologetic letter mentioned above, there has been no mention of strategies for new street planting, only replacement trees. 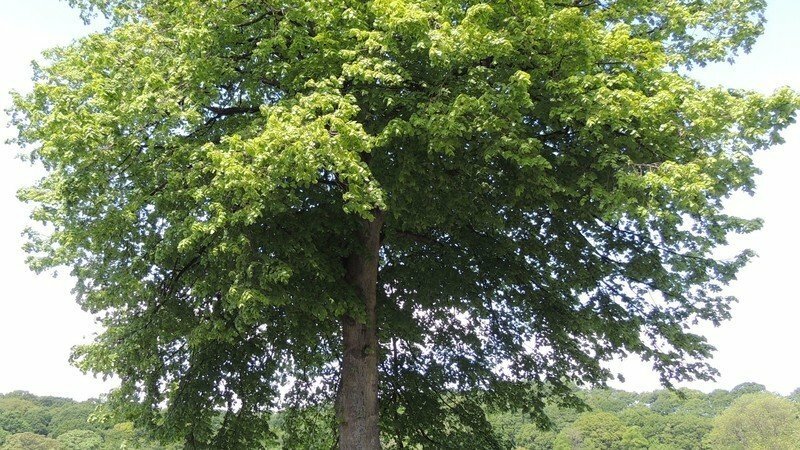 A more proactive view is voiced in Sheffield City Council ‘s, ‘Sheffield’s Tree and Woodland Strategy: consultation document’. It is a shame then that this dates from 2001, and that there doesn’t appear to be an actual Tree Strategy for Sheffield – it looks like this document was never adopted by SCC. The shame is that a Tree Strategy would have set out a vision for trees; it would have described the different aspects of that vision, giving examples; it would have been referred to in the contract as indicative of the performance level to be achieved. Policy documents e.g. Trees in Towns II; the UK Forestry Standard and its Guidelines; National Tree Safety Group. SCC’s lack of recourse to professional expert advice which would help, guide and instruct contractors – as would a Tree Strategy. But where are these? My personal view is that, alongside excellent maintenance of existing tree stock, I want to see some strategic improvements and strategic new planting and re-planting in Sheffield. And this might be coordinated with pavement and road repairs so as to utilise the Stockholm tree planting system; a method that solves the future possibility of pavement heave. First comes investment in expertise and quality and from these are generated sustainable (including monetary sustainability) approaches. Given that Sheffield City Council don’t have a Tree Strategy, don’t consult (or not enough) with experts, and don’t make the content of the contract with Amey public, I don’t have confidence in their capacity to manage such an important, living, asset. Great blog! Thanks for the Stockholm tree planting system info – will SCC listen to this though? The bottom line is economics here – SCC have a once in a lifetime opportunity to reduce their maintainence costs for large trees by simply removing them and providing smaller ones which are cheaper to maintain. This is the big elephant in the room that never gets mentioned by SCC publicly, even while it is acknowledged privately. Perhaps, given the drastic SCC budget cuts, we need to take citizens action and develop citizens place keeping initiatives? Alternatively we could ask SCC to re-allocate budget from other areas for trees, but this is unlikely to be popular. Could SCT initiate a place keeping initiative for trees via local communities by joining forces with Rustling Road group and others?? Professor Tony Dunnett of Sheffield University (of wild flower meadow planting on the roundabouts, fame ) mentioned on “gardener’s question time” Radio 4 programme from Hampton Court, a few weeks ago, the importance of trees in the landscape of our cities and roadsides. He may be a worthwhile person to contact and get involved.